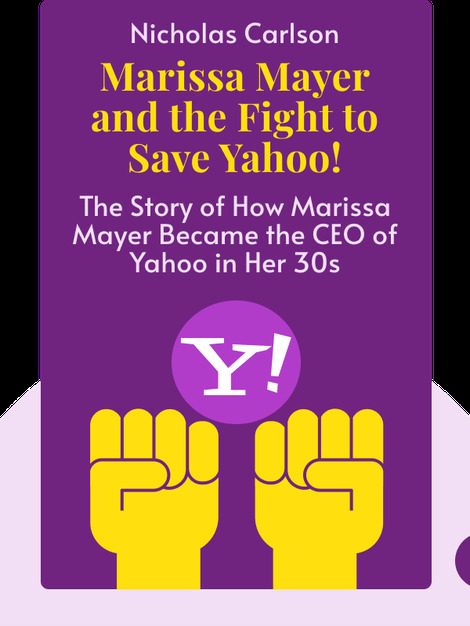 Marissa Mayer and the Fight to Save Yahoo! (2015) takes us on a journey through the ups and downs of this one-time leader of the early internet. These blinks explain how Yahoo has changed, and often struggled, as it progressed from its early start-up days to a multi-billion dollar corporation. 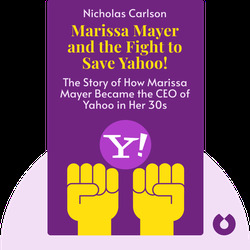 The blinks also put a spotlight on Yahoo’s latest CEO, Marissa Mayer, and her extensive efforts to keep the company moving forward. Nicholas Carlson is Business Insider's chief correspondent and investigative reporter. He wrote about the histories of Facebook, Twitter and Groupon and is the author of The Cost of Winning: Tim Armstrong, Patch and the Struggle To Save AOL.